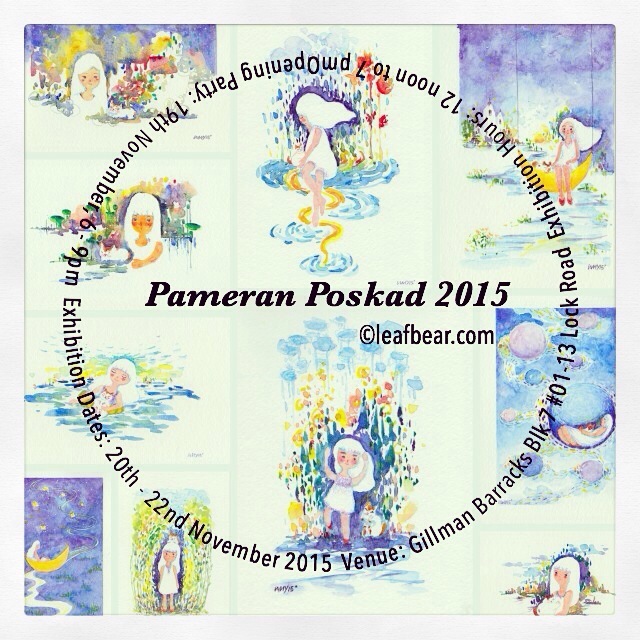 Thanks to the encouragements of my friends, I’ve decided to join this year’s Pameran Poskad 2015, a postcard show that features works from artists around the world. This year, a total of 502 artists are included, and more than 5000 postcards are on the show and for sales! I’ve created this “Girl & Cat” series for the show, featuring Tommy the Cat secretly in all of them  (actually I found myself painting Tommy whenever I’m painting a cat!) It was fun trying to create a series of work based on the same theme, and the postcard size is just perfect for me as I enjoyed working small  . Come check these out this weekend if you happen to be in Singapore!